Enjoy Free Shipping On Order Over $30. Enjoy Up To 30% Off On Makeup Brush Set. SE Series Brushes good quality and affordable prices. 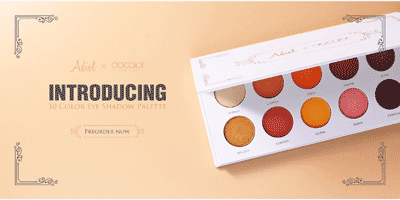 Adiel Cassano By DOCOLOR - 10 Color Eye Shadow Palette. Free International Shipping on $30+. Holiday Special Edition. No coupon code required. Click link to activate. 12 Pieces Goth Makeup Brush Set for $14.71. 8 Pieces Skin Affinity Makeup Brush Set for $17.99. 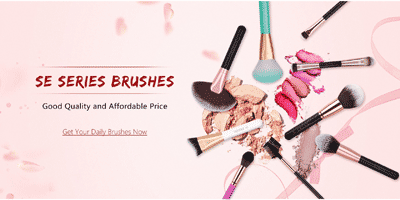 30% off on 3 Pieces Makeup Brush Set - DB-CUPID. Cyber week deals: 20% off sitewide. No coupon code required. Click link to activate. DOCOLOR produce makeup brushes and in the field of beauty products for more than 30 years.At their factory, they manufacture approximate 600,000 brushes monthly. Their efficient production processes are based on traditional techniques of truly authentic skilled craftsmen who continue to support this. In order to maintain the high quality production, all brushes are hand-crafted 100%. They have obtained a patent for a method of arranging a brush head which enables us to achieve good quality brushes for mass production. Based on all above efforts.They have very strict quality control for every brush: more than 20 steps to handle the bristle and prevent shedding; more than 15 steps on the processing of wood handleï¼Œsuch as painting and logo printing. There are about 80 steps in total during the whole production process for every brush.